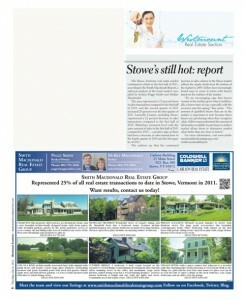 The 2011 Mid-Year Smith Macdonald Report was featured in the out of town real estate section of Montreal's Westmount Examiner on July 14, 2011. 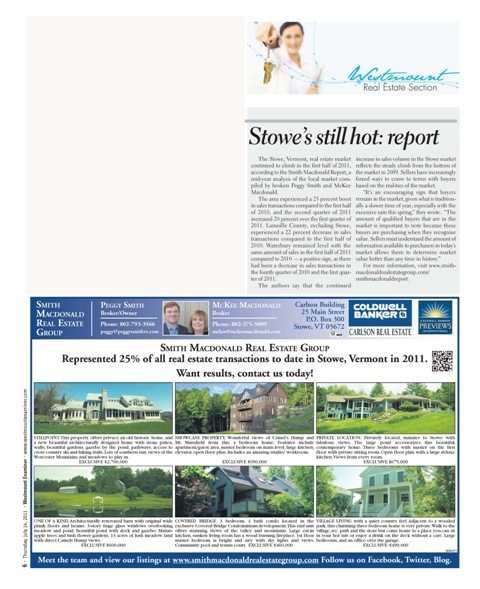 The Montreal market remains an important section of the Stowe real estate market and being featured in this paper is just another level of service that the Smith Macdonald Group of Coldwell Banker Carlson Real Estate bring to their customers and clients. Click here to request a copy of the report. Click here to view the Westmount Examiner.